Smith PJ, et al. Aerobic exercise and neurocognitive performance: a meta-analytic review of randomized controlled trials. Psychosom Med. 2010 Apr;72(3):239-52. Ludyga S, et al. Acute effects of moderate aerobic exercise on specific aspects of executive function in different age and fitness groups: A meta-analysis. Psychophysiology. 2016 Nov;53(11):1611-1626. Northey JM, et al. 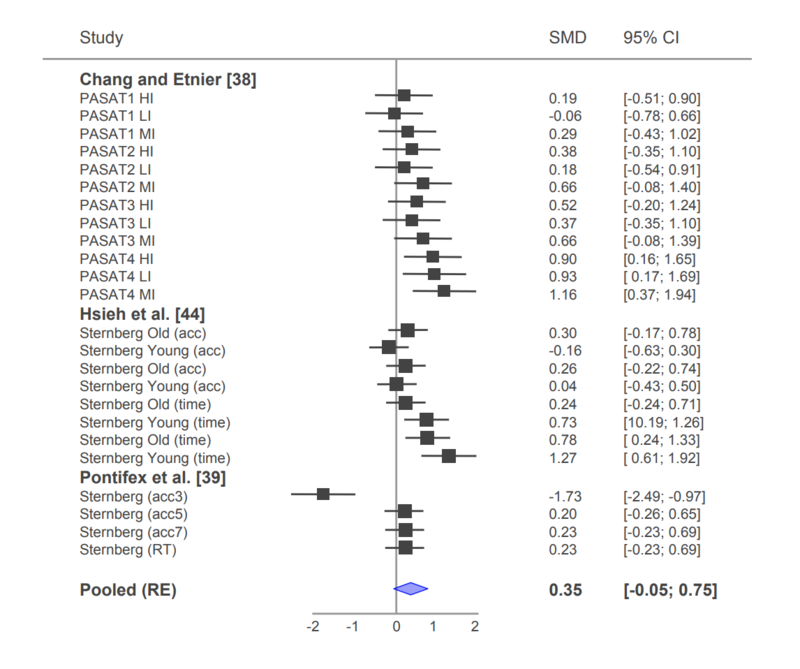 Exercise interventions for cognitive function in adults older than 50: a systematic review with meta-analysis. Br J Sports Med. 2018 Feb;52(3):154-160. Wilke J, et al. 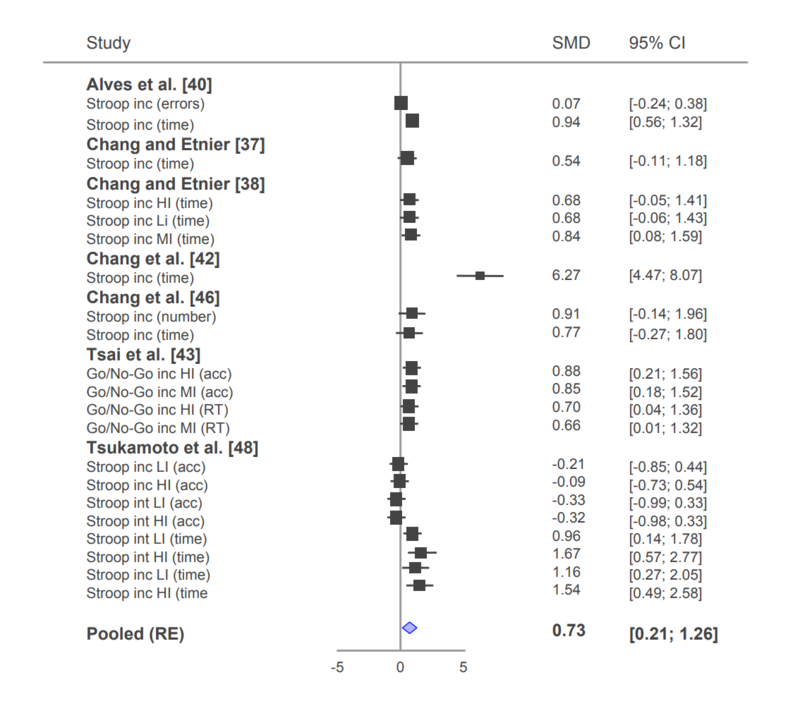 Acute Effects of Resistance Exercise on Cognitive Function in Healthy Adults: A Systematic Review with Multilevel Meta-Analysis. Sports Med. 2019 Mar 6. Ogoh S, et al. Cerebral blood flow during exercise: mechanisms of regulation. J Appl Physiol (1985). 2009 Nov;107(5):1370-80. Tsai CL, et al. Executive function and endocrinological responses to acute resistance exercise. Front Behav Neurosci. 2014 Aug 1;8:262. Yarrow JF, et al. Training augments resistance exercise induced elevation of circulating brain derived neurotrophic factor (BDNF). Neurosci Lett. 2010 Jul 26;479(2):161-5.